Salaam beautiful peoples, how are you today! If you are a fan of Infinix then Get Ready for upcoming Infinix Note 5. Yes, today Infinix launching latest Note 5 at Burj Khalifa, Dubai. Don't forget to Subscribe and Join 1000+ other subscribers for direct updates in your inbox. You can also get us on Facebook & Twitter. When it comes to smartphones, pure stock Android is in a class of its own. With no frills, bloatware or extras, this version of Android is usually the fastest and easiest to use. 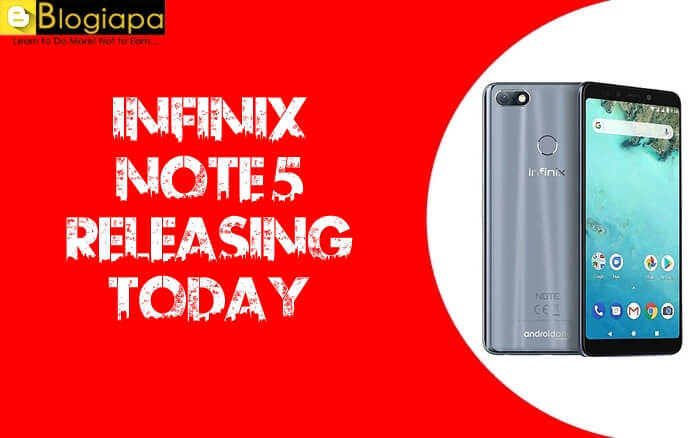 Infinix Note 5, the latest addition to the flagship Infinix Note series is being rumored for release on June 24th. Boasting advanced technology and exciting new features, the new release will have the potential to give its competitors a real challenge. Granted, it lacks some of the good stuff, like the note taking feature in Samsung’s Galaxy Note series, but it’s a novelty at best and not everyone uses those features. With that out of the way, let’s get to the fun part, Infinix is gearing up to launch a brand new Android One smartphone, which will be available globally. The company will take the covers off of the new phone today in Dubai. What we can tell from the teaser is that the new Infinix phone will be from its Note series, presumable Note 5, so expect a large 18:9 aspect ratio display, between 5.5-6 inches. It might also have a glass build, as evident from the brief look at the back of the phone, though it could just be reflective plastic. It will also come with AI features (the “Smart” hint in the video), as well as a large battery - around 4,000 mAh - as Note phones usually have. 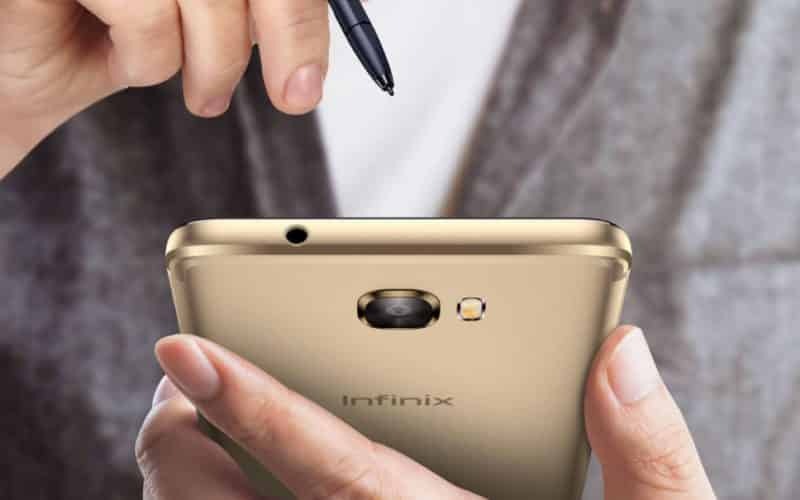 Infinix is launching the Note 5 smartphone today at Dubai. The device supports 4G LTE, the bands are listed below. It has a SIM tray by the side, it houses dual Nano SIM and a microSD card. It supports Bluetooth 4.2, a USB port, Wi-Fi and A-GPS. Infinix has grown over the years in terms of design, the Note 5 has a glossy back which easily makes it the most stunning Infinix smartphone yet. The fingerprint scanner is now back to the back as expected to give way for the trending full screen. The Note 5 boasts of a 6-inch FHD+ IPS LCD capacitive touchscreen, this is perfect for big screen lovers. The screen boasts of 1080 x 2160 pixels in resolution and 402 pixels per inch density offering immersive visuals. The screen also got up to 79% screen-to-body ratio. MediaTek’s powerful mid-range chip the Helio P23 MT6763T does the job underneath. It was built on a 16nm process technology and accompanied by an Octa-Core processor which has a speed of 2.0GHz. While the Mali-G71 MP2 graphics processor from ARM clocks at 770MHz. The Note 5 has 4GB of RAM and a memory speed of 933MHz, this ensures fast multitasking of heavy apps. While the storage still pegs at 32GB, if you need more space, you can easily upgrade up to 128GB using a memory card. It runs on Android 8.1 Oreo (Android One). The Infinix Note 5 houses a rear 12MP shooter with f/2.0 aperture and 1.25um pixel size. The camera is AI driven and should come with amazing features to improve your photographs. There’s a front-facing 16MP selfie camera that has f/2.0 aperture as well for selfies. The Infinix Note 5 is powered by a non-removable Li-Po 4500mAh battery with fast charging technology. All of this means that the Infinix Note 5 smartphone will be one exciting release. Smartphone customers are anticipating a strong move from Infinix, a company which has grown itself steadily into various markets around the globe and proved to be a reliable brand for any handheld companion. More than 200 guests are invited from around the region to join Infinix and Google in celebrating the launch of Note 5, which will be held at the Armani Hotel, Burj Khalifa, Dubai - the tallest skyscraper of the world. Infinix users will be able to experience updated Smart AI technology through the latest Google applications, which are designed to let the user take a step into the future and experience the power of Artificial Intelligence. Infinix is a premium smartphone brand from TRANSSION Holdings designed for young generation who desires to live a smart lifestyle. Launched in 2013, Infinix is committed to develop cutting-edge technology and fashionably designed dynamic mobile devices to create globally-focused intelligent life experiences through a merging of fashion + technology. Through daily interactions, these intuitive products become part of a lifestyle that represents trend-setting and intelligent experiences for young people around the world. Infinix currently promotes five product lines: ZERO, NOTE, HOT, S, and SMART in a global marketplace reaching countries in Europe, Africa, Latin America, Middle East and Asia. With the brand spirit of challenging the norms, Infinix smart devices are designed specifically for young people who want to stand out, reach out and stay in sync with the world.